If you haven’t written a resume in 15+ years or are starting over in a new industry, you may wonder what has changed in the world of job-searching. 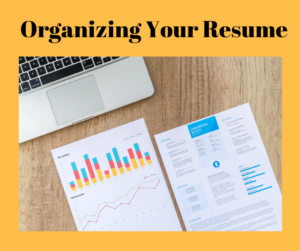 Even though the resume still describes your job history and education, the method and rationale behind the organization of the document has changed greatly over the years. Read the tips below to understand the different sections included on today’s resumes and what to include in each section. #1 – Contact Information. This is at the top of the resume and includes your name, address (if you choose to include this), phone number, email address, and LinkedIn profile URL (if applicable). #2 – Title(s) and Career Summary. Immediately after the name and contact information should be several job titles or areas of expertise. For example, if someone is in sales, it may read: Sales Leader | Account Manager | Marketing Expert. Then, after those titles, include a three to five-line career summary that gives a high overview or past employment experiences and qualifications. #3 – Skills. This section could be called Skills, Qualifications, Areas of Expertise, or Competencies. Frankly, it doesn’t matter what you call it. The primary reason for this section is to highlight those skills that are required for the job opening. This allows you to hit upon key words used in the advertisement and gets you one step closer to getting through the Applicant Tracking System used on many company websites. In addition, remember that this section is always evolving and you should change the verbiage per job opportunity. #4 – Professional Experience. In reverse-chronological order (starting with newest job first), this section details your work history and includes approximately the last 10-15 years of your job experiences. List the name of the company, your job title, dates employed (month and year), and achievements from your time there. One important note—do NOT just include a job description. Focus on quantifiable achievements that led to results. #5 – Education. Include the name of your degree and the school. If you don’t have any official college education, then focus on continuous learning credits, workplace trainings, and seminars attended. #6 – Community Involvement or Volunteerism. This section is optional and can include volunteer work that makes an impact on the community. If the volunteerism is related to your church (religion-based) or your children’s school, carefully consider whether or not to add that information. While we hope it doesn’t occur, we know that discrimination can occur on topics that include age, if you have children, and the type of church you attend. If you have questions about the types of information that should be included or excluded from your resume, please contact me today – I’d love to ensure that you feel confident when sending your resume to potential employers.